The world has changed significantly – perhaps profoundly – over recent weeks. The Shanghai Composite has dropped 17.4% over the past month (Shenzhen down 21%). Hong Kong’s Hang Seng Index was down 8.2% over the past month, with Hang Seng Financials sinking 11.9%. Trouble at the “Periphery” has definitely taken a troubling turn for the worse. Hope that things were on an uptrend has confronted the reality that things are rapidly getting much worse. This week saw the Shanghai Composite sink 9.0%. Major equities indexes were hit 8.0% in Russia and 5.0% in Brazil (Petrobras down 9%). Financial stocks and levered corporations have been under pressure round the globe. The Russian ruble sank 4.0%, increasing y-t-d losses versus the dollar to 7.1%. The Mexican peso declined another 1.8% this week. The Polish zloty slid 2.8% on an S&P downgrade (“Tumbles Most Since 2011”). The South African rand declined 3.0% (down 7.9% y-t-d). The yen added 0.2% this week, increasing 2016 gains to 3.0%. With the yen up almost 4% versus the dollar over the past month, so-called yen “carry trades” are turning increasingly problematic. Importantly, the past month has seen contagion effects from the collapsing Bubble at the Periphery penetrate the Fragile Core. Japan’s Nikkei 225 index was down 7.6% over the past month. While bubbling securities markets have worked to underpin European economic recovery, now prepare for the downside. The German DAX is off 11% in the first two weeks of 2016, with stocks in Spain and Italy also sporting double-digit declines. France’s CAC 40 is down 9.2% y-t-d. And highlighting a key Issue 2016, European bonds have provided little offsetting protection against major equity market losses. So far in 2016, German bund yields are down only eight bps. Yields are little changed in Spain and Italy. Sovereign yields are up 20 bps in Portugal and 130 bps in Greece. European corporate debt has posted small negative returns so far in 2016. Recent weeks point to decisive cracks at the “Core” of the U.S. financial Bubble. The S&P500 has been hit with an 8.0% two-week decline. Notably, favored stocks and sectors have performed poorly. Indicative of rapidly deteriorating economic prospects, the Dow Transports were down 10.9% to begin 2016. The banks (KBW) sank 12.9%, with the broker/dealers (XBD) down 14.1%. The Nasdaq100 (NDX) fell 10%. The Biotechs were down 16.0% in two weeks. The small cap Russell 2000 was hit 11.3%. Bubbles tend to be varied and complex. In their most basic form, I define a Bubble as a self-reinforcing but inevitably unsustainable inflation. This inflation can be in a wide range of price levels – securities and asset prices, incomes, spending, corporate profits, investment and speculation. Such inflations are always fueled by some type of underlying monetary expansion – typically monetary disorder. Bubbles are always and everywhere a Credit phenomenon, although the underlying source of monetary fuel often goes largely unrecognized. I’ll posit another key Bubble Dynamic: De-risking/de-leveraging at the Periphery is problematic, with a propensity for risk aversion and associated liquidity constraints to spur contagion effects. At the Core, de-risking/de-leveraging becomes highly destabilizing. Indeed, I would strongly argue that de-leveraging at the “Core of the Core” is tantamount to financial crisis. It is the “Core of the Core” that now concerns me the most. It is here where Federal Reserve (and global central bank) policies have left their greatest mark. It is at the “Core of the Core” where momentous misperceptions and market mispricing have become deeply entrenched. It’s the “Core of the Core” that has attracted enormous amounts of “money” over recent years. It’s also here where I believe leverage has quietly been used most aggressively. Over recent years it became one massive Crowded Trade. Now the sophisticated players must contemplate beating the unsuspecting public to the exits. At $275 billion, Chinese Credit growth surged in December to the strongest pace since June. While growth in new bank loans slowed (15% below estimates), equity and bond issuance jumped. China’s total social financing expanded an enormous $2.2 TN in 2015, down slightly from booming 2014. Such rampant Credit growth was (barely) sufficient to sustain China’s economic expansion. At the same time, I would argue that Chinese stocks, global commodities and developing securities markets in particular have been under intense pressure due to rapidly waning confidence in the sustainability of China’s Credit Bubble. A similar dynamic is now unfolding in U.S. and other “Core” equities markets: Sustainability in the (U.S. and global) Credit Bubble - the monetary fuel underpinning the boom - is suddenly in doubt. The bulls, Fed officials and most others see the economy as basically sound, similar to how most conventional analysts argued about the Chinese economy over the past year. Inherent fragility and unsustainability are the key issues now driving securities markets – in China, in the U.S, and globally. And, importantly, sentiment has shifted to the view that policy tools have been largely depleted. This week saw the Bank of America Merrill Lynch High Yield Energy Bond Index trade to a record17.43% yield, surpassing the December 2008 high (from Barron’s Amey Stone). “Triple C” bond yields jumped to 18.8%, the high since 2009 (FT’s Joe Rennison). The yield on the Markit iBoxx Liquid High Yield index jumped this week to the highest level since 2012. Returning to “Core of the Core” analysis, investment-grade corporate debt has rather abruptly joined the market turmoil. After a rocky first week of 2016, investment-grade debt spreads widened again this week to a three-year high, as investment-grade funds suffered their eighth straight week of outflows. “Triple A” MBS occupied the mortgage finance Bubble’s “Core of the Core”. GSE securities were perceived as “money”-like (“Moneyness of Credit”), with implied backings from the Treasury and Fed seemingly guaranteeing safety and liquidity. Throughout the global government finance Bubble period, I have often invoked the concept “Moneyness of Risk Assets.” With the Federal Reserve and global central banks determined to do just about anything to uphold booming securities markets, the marketplace perceived that safety and liquidity were virtually ensured. Trillions flowed into global stock and bond mutual funds, the majority into perceived low-risk U.S. equities indexes and investment-grade corporate debt products. It is worth recalling that my tally of Total U.S. Securities (Treasuries, Agencies, Corp Bonds, Munis and Equities) ended Q2 2015 at a record $76.924 TN, or 429% of GDP. This was up $30.90 TN (77%) from 2008’s $46.034 TN (313% of GDP) – and greatly exceeded 2007’s $53.279 TN (368% of GDP). And as securities market inflation inflated Household Net Worth, spending increases bolstered corporate profits and income growth. Booming markets, especially ultra-easy financial conditions throughout the corporate Credit market, spurred stock buybacks and incited record M&A activity. As noted above, Bubbles are self-reinforcing but inevitably unsustainable. Especially with faltering Bubbles at the “Core of the Core,” wealth effects will now operate in reverse. Spending (household and corporate) will slow, with domestic issues joining international to pummel corporate profits. Significant tightening in corporate Credit will weigh heavily on both stock repurchases and M&A. And as economic prospects darken at home and abroad, there will be reinforcing downward pressure on U.S. equities and investment-grade corporate debt. Back in 2000, Dallas Fed president Robert McTeer suggested that our economy’s ills would be rectified “if everyone would hold hands and buy an SUV.” And for the next 15 years Fed policies did the unimaginable in the name of (indiscriminately) stimulating growth of any kind possible. And if epic mortgage finance Bubble financial and economic maladjustment was not enough, the past seven years have seen the type of financial folly and egregious wealth redistribution that tear societies apart. The bottom line is that Bubbles destroy and redistribute wealth, though the true effects are masked for a while by inflated securities and asset markets – along with resulting unsustainable spending patterns and economic activity. Regrettably, years of policy mismanagement, gross financial excess, deep structural maladjustment and the most imbalanced economy in our nation’s history will now come home to roost. The Global Slowdown Hits the U.S.
America dodged the Asian financial crisis of 1997-98, but much has changed. Today’s world economic slide is starting to hurt us. Plunging stock prices and slowing economic growth in China have raised anew the question of how much events abroad really matter to the U.S. Many of the answers are quite placid, drawing on the precedents of the 1997-98 Asian financial crisis, when there was similar concern about impacts at home, which never came. The U.S. grew at a 4.5% annual pace during those two years. For much of 2015, when U.S. growth remained steady despite volatile and weak growth in the rest of the world, the optimists said it was like 1997-98 all over again. That may be, but the world has changed a lot in two decades. After 1998, the U.S. share of global GDP topped out at 32% but has since fallen to 24%, based on my analysis of raw data from the International Monetary Fund, while the emerging-world share bottomed out at 20% but has since doubled to nearly 40%. In that time, China has supplanted the U.S. as the largest contributor to global growth. The assumption that the U.S. isn’t much influenced by events abroad may be subtly reinforced by widespread talk about “deglobalization,” but this is a bit of a misnomer. While for the first time in decades global trade is no longer growing faster than the global economy, it has retreated only slightly from its peak of around 60% of global GDP in 2012, and is still way up from 45% at the time of the Asian financial crisis, according to data from Haver Analytics. 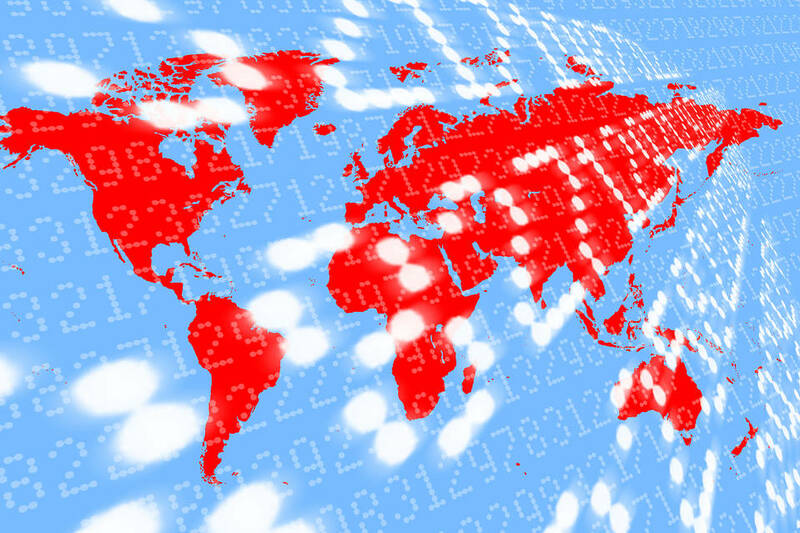 The trading world is much more interconnected than it was in 1998, and since that year the share of foreign trade in the U.S. economy has risen from 18% to 23%. The sanguine narrative argues that the U.S. is again the safest house in a volatile world, but in the latter half of 2015 signs started to emerge of a slowdown in the U.S. The 2.8% growth rate in the first half dropped in the third quarter and is expected to come in below 2% for the fourth quarter, amid growing signs that this U.S. recovery was more subject to global forces than its predecessors. Since the recovery began in 2009, exports have contributed 15% of U.S. growth, up from an average of 9% during the previous seven postwar recoveries. The first signs of U.S. weakness emerged in manufacturing, which is deeply influenced by the global economy. Though manufacturing represents a shrinking share of the U.S. economy, now 12% of GDP, it is still a leading indicator, in part because of the outsize role it plays in the financial markets. Manufacturing industries account for some 60% of profits among companies on the S&P 500, which are increasingly reliant on foreign sales. In this decade, American companies have earned 27% of their profits overseas, compared with 17% in the 1990s. By the second half of last year, surveys of manufacturing had started signaling a significant slowdown, with one suggesting a possible contraction. In 1998 manufacturing and export weakness was offset in the U.S. by falling oil prices, declining interest rates and surging consumer demand. But here too much has changed. In the past, Americans spent virtually all of the windfall from falling oil prices, boosting the economy. This time they are saving 40% of the windfall, perhaps still unnerved by the 2008 crisis. Since 1998 the U.S. has also emerged as the world’s largest oil producer. The shale energy boom has increased oil production from eight million barrels a day to 12 million. Though America is still a net importer of crude oil, it has become a net exporter of petroleum products, and investment in energy has been hit hard by the sudden drop in oil prices. When oil prices rallied a bit to $60 a barrel in mid-2015, markets expected the price to stabilize. Then it dropped again, driven in part by falling demand in China, to just above $30. That delivered a psychological shock, which is at least comparable to the dot-com bust of 2000. In late 2014 the total energy investment of large American companies peaked at 2.3% of GDP, nearly double the peak in 2000 for telecom, media and technology investment. The dot-com bust led to a brief recession the following year, and while the shale-oil bust may not cause an outright recession, it is already undermining growth. Since December 2014, energy investment among large U.S. companies has fallen 22% to $340 billion, according to Empirical Research Partners. The credit markets sense trouble. Since 2009 the U.S. junk-bond market has increased by around 80% to $1.3 trillion; the market for energy junk bonds has increased even faster, up 180% to more than $200 billion, fueled by the Fed’s easy-money policies. Since the Fed began signaling an end to those policies in mid-2014, leading to a surging dollar and falling oil prices, the shale credit boom has been threatening to go bust. The Fed—which had room to lower rates during the 1997-98 Asian crisis—doesn’t have the same options now that rates are near zero. That doesn’t mean a recession is coming: U.S. households have cut back their debt and increased savings, job growth continues at a decent pace, and America still relies more on exports to Europe and Japan than to slowing China. But this does suggest that 2016 forecasts for U.S. growth that begin with a 2 may have to be revised to begin with a 1. The global slowdown is coming here. Mr. Sharma is the head of emerging markets and global macro at Morgan Stanley Investment Management, and the author of “The Rise and Fall of Nations” coming in June from Norton. David Paul Morris | Bloomberg | Getty Images. The lack of new housing created during this economic recovery threatens to undermine the future of many US cities and the middle class. Employers are as sensitive to housing costs as their employees, which is why, when we build more houses, we create more jobs. Google (NASDAQ: GOOGL) and Facebook (NASDAQ: FB) are opening campuses across the U.S. because even software engineers can no longer afford San Francisco, where the median home price just topped $1 million . Businesses move jobs across the country or overseas to find places where the same wages can still offer a comfortable life, which begins with a home you can afford. First, federal immigration reform would help. The top new piece of legislation on the lobbying list for the National Association of Homebuilders is immigration reform, to give builders more skilled workers from outside the U.S. How serious is the labor shortage? 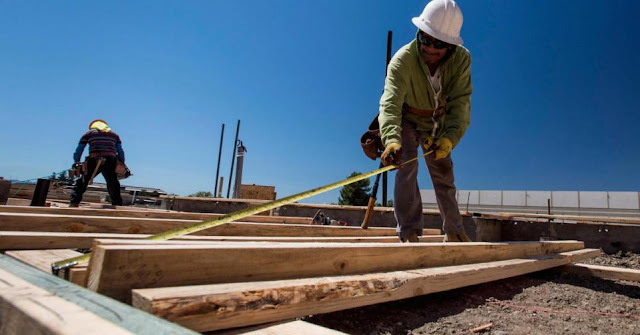 Builders today are hiring security guards to patrol construction sites, not to safeguard lumber but to prevent recruiters from poaching their people. Moral blackmail is creeping into the Brexit debate. We are told that it would be deeply irresponsible to walk away from the European project at a moment when the EU is struggling for its life, and doubly wicked to do so in the midst of a geostrategic storm that threatens to overwhelm the Western liberal democracies. It is certainly a dangerous time. An exhausted America has lost the will to police the Middle East, leaving a lethal vacuum and a three-way struggle between Saudi Arabia, Iran and a neo-Ottoman Turkey drifting ever further from the Western camp. Four wars are raging across the region, and we are not far from an epic settling of scores between the Sunnis and Shias. The ISIS caliphate still controls Mosul, Iraq's second city, and jihadi ideology is spreading across southern Asia. Even the Maldives have become an ISIS recruiting ground. China blows hot and cold. It chose to work hand in glove with the US at the Paris climate summit, but is acting as a predatory imperial power in its own neighbourhood, asserting military control over the reefs and atols of the South China Sea with complete disregard for the competing claims of other states. Beijing has shrugged off a case lodged by the Philippines at the international tribunal in The Hague, even though it is a signatory to the convention on the law of the seas. This is the litmus test of Xi Jinping's "China Dream". A heavily-armed Russia has overturned a recognized border by military invasion, the first time this has happened in Europe since the Second World War. It has violated its solemn pledge in the 1994 Budapest accords to uphold the territory of Ukraine after Kiev agreed to give up its nuclear weapons. To the extent that Vladimir Putin has been checked, it is in part because he has so far failed to break Europe's unified front. He admitted to Bild Zeitung this week that Western sanctions are "severely harming Russia", as indeed they are, since the freeze on foreign funding has compounded the crash in oil prices. Yet he is still testing the credibility of Nato's Article 5 on a weekly basis. Nato jets had to scramble 160 times last year to intercept Russian aircraft over the Baltics. It is a little disturbing that India, Brazil and South Africa - though democracies - have refused to utter a whisper of reproof against Russia for tearing up the rules of global governance. The "Brics" alliance comes first. David Cameron did not, of course, know that the world was about to turn nasty when he first set the EU referendum in motion in early 2013, but critics are clearly right that this is a terrible time for Britain to throw a tantrum. Even so, it is a stretch to argue that Britons should forgo their one chance to restore full parliamentary control over their laws, courts and borders, given that this referendum is surely the only chance they have to issue their verdict on 40 years of EU conduct. Alea iacta est. There is no necessary reason why Brexit should in any way alter the UK's role in the security structure. It remains a member of Nato. European defence is, in any case, a Franco-British venture, and this would go on exactly as before. Nor should we forget what happened when France and Britain went to war in Libya in 2011 to prevent a massacre in Benghazi, backed by the Arab League, Spain and Italy, and acting under the United Nations' "duty to protect". Germany lined up with the dictatorships in the Security Council against its EU allies, much to the disgust of former vice-chancellor Joschka Fischer. You can argue that the Libyan campaign was ill-conceived, but you cannot pretend that there was any such thing as an EU foreign policy. Needless to say, Washington wants Britain inside the EU tent making the Atlanticist case for it. We know from declassified State Department files that US intelligence agencies funded the proto-EU movement in the 1950s and 1960s, using a network of spies from the former Office of Strategic Services under General William Donovan to funnel money to front groups. The documents show that leaders of the European Movement and others who played a key role in the creation of European Community were treated as hired hands in Washington's Cold War strategy, receiving half their budget from the US. The EU has always been an American project, even if it later slipped US control. America prefers to deal with a unified Europe as a matter of convenience and its anti-Brexit rhetoric should be taken with a pinch of salt. The White House would come to terms with the reality of British withdrawal within 24 hours, seeking the best way to perpetuate a historic alliance under what is for them slightly altered circumstances. The relationship would probably be even closer. An incendiary column by a Dutch writer in The Guardian this week argued that the EU should "turn the tables on bullying Britain" and punish us for kicking Europe when it is down, and for behaving badly when the world is going to ruin. He urged Brussels to "spell out all the ways in which we will make the English suffer". It is an attitude one encounters from time to time in the corridors of the Berlaymont and the Justus Lipsius building, but it is an odd argument to make if you are worried about global stability. European leaders must operate in the real world. They will surely be keener to bury the hatchet and reach a modus vivendi with the UK as soon as possible, precisely because the strategic stakes are so high. 1) Whether Brexit poisons relations between England and Scotland, and whether it creates an impossible situation for Ireland, a country for which we have a special duty of care. Concord within these Isles' matters must be paramount. 2) Whether Britain's withdrawal would upset the internal chemistry of the EU, lead to a toxic German hegemony that the Germans themselves do not want, and ultimately set in motion a disorderly breakdown of the European system. 3) Whether the whole process of EU integration has run it course, and it is safe to conclude that our sovereign parliaments will be respected, or whether the elites will continue to seize on every crisis to push further. 4) Whether we can share a judicial union - with an automatic EU arrest warrant on the word of a magistrate, who may or may not be a scoundrel - with three or four member countries under authoritarian control, either led by pocket-Putins, or without a safe rule of law and a free press, and in two cases essentially mafia states. Theresa May's decision to opt back into 35 criminal and police "JHA" measures when we had a legal opt-out will weigh heavily. She did so overriding the scrutiny reserve resolution of Parliament and in breach of Cabinet Office guidelines. 5) Whether the eurozone can ever be made to work, or whether it is a doomsday machine with a depressionary Fiscal Compact and misaligned exchange rates that will grate forever, so distorting the EU that its all-consuming mission is just to save the euro, and by whatever means. Any scare tactics, let alone threats from Brussels, will harden British euroscepticism. An appeal to altruism, to the national myth of fair play, has a much higher chance of succeeding. As for Mr Cameron's four negotiating points: what were they again? WASHINGTON, DC – The impact that groundbreaking technological advances like artificial intelligence will have on the functioning of our economies and labor markets has been a hot topic for a long time. But Jerry Kaplan’s recent book Humans Need Not Apply: A Guide to Wealth and Work in the Age of Artificial Intelligence has impressed upon me the true size of the socioeconomic stakes. As Kaplan points out, that is precisely what Amazon has done. It first achieved massive scale, enabling it to store unordered products at diffuse locations and thereby reduce transport costs. Now it can offer fast and free delivery, which smaller companies cannot beat. Add to that complex algorithms that set prices in a way that maximizes profits, and the company’s dominance seems relatively secure. France Stratégie, which advises the French government, and the American entrepreneur Nick Hanauer have proposed social-policy reforms that share a similar conceptual foundation. Individuals earn “claims” over their lifetimes, first by being legal residents, and then by, say, obtaining educational degrees, earning professional certifications, performing community service (including military service), and making money. These claims can be exchanged for various benefits, such as family leave, retraining, or supplementary retirement income. The system would include all residents and be completely portable, with plenty of room for people to choose how and when to use their claims. Complementary arrangements – with, say, potential employers offering additional credits for retraining – could also be implemented. A one-day oversold rally didn’t do the trick for bulls as Friday’s reversal was severe. Currently markets are marching lock-step lower with oil markets. Some are calling for $20 oil in the near future which, if it happens, would devastate both small and large producers alike. Consider all the debt exploration and producing company’s carry and bankruptcy would occur trickling down thru the financial system. What could stop this from occurring is an intervention by OPEC producers and even a war between the Saudi’s and Iran. The latter would quickly see prices explode higher. Thursday’s bizarre oversold short squeeze rally saw no follow-through Friday but the opposite occurred with new lows the feature. Headline market sectors are quickly down nearly 10% YTD with others falling nearly 20% YTD. This puts us near bear market territory. Europe and emerging markets are already in bear markets with many in recession. Institutional investors are in shock and denial this is happening. When markets display this kind of behavior given many oversold rally failures, then we’d have to admit markets are in great trouble. Whose fault is it? It’s easy to pin blame on the Fed since they’ve created this situation. Various Fed Governors will be out trying to cheer investors up with ideas of more QE and lower, even negative, interest rates. As me and many others have stated the past few years the Fed stayed too long with ZIRP despite “emergency monetary policies” were no longer necessary given the economy had healed several years ago. Raising interest rates even modestly as they did in December was too little too late. Now they’ve lost their credibility. As if it mattered economic data Friday was mostly negative. PPI declined to -0.2% vs prior 0.3%; Retail Sales were down to -0.1% vs prior 0.4%; Empire State Manufacturing Survey collapsed to -19.37vs prior -4.59; Industrial Production down to -0.4% vs prior -0.9%; Business Inventories down to -0.2% vs prior 0.1% and consumer Sentiment rose to 93.3 vs prior 92.6 (with focus on cheaper gas and heating oil). Stocks were crushed again on heavy volume as market sell-off may become a full-fledged bear market with a follow-on recession. Market sectors moving higher included: Volatility (VIX), Treasury Bonds (TLT), Gold (GLD) and little else. Below is the heat map from Finviz reflecting those ETF market sectors moving higher (green) and falling (red). Dependent on the day (green) may mean leveraged inverse or leveraged short (red). Volume was once again heavy and breadth per the WSJ was quite negative. Given Wednesday’s collapse and Thursday’s rally, Friday’s sharp decline puts us in short-term oversold conditions but also worse than unstable. Sure, it’s likely to respond positively to any rally in crude oil just so it’s not due to any geopolitical events between Iran and Saudi Arabia. We’re flat and have been in cash since the last day of 2015. I’m desirous of shorting but need to wait for short-term oversold conditions to moderate. Trading stops are too far away allowing for too much risk. This is the worst yearly start ever for most equity indexes ever even going back to Dow in 1928.